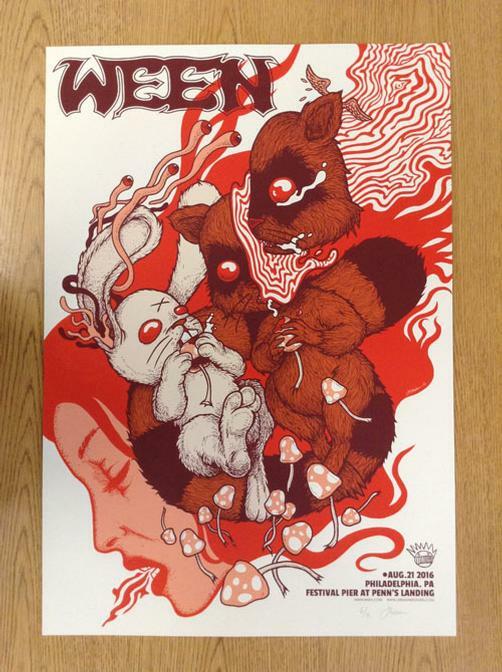 Original silkscreen concert poster for Ween at Festival Pier at Penn's Landing in Philadelphia, PA in 2016. 18 x 26 inches. 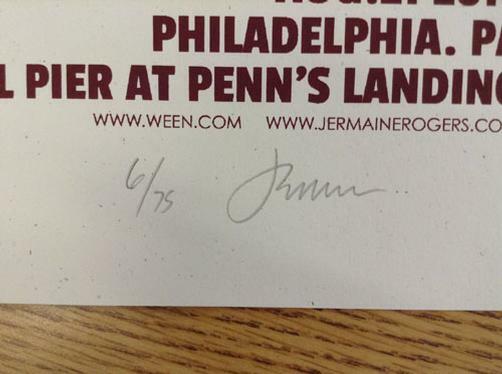 Signed and numbered 6 out of only 75 by the artist Jermaine Rogers.